New book from Tony Award-winning dancer and choreographer Bill T. Jones captures the beauty and movement of dance in written form: STORY/TIME: The Life of an Idea. 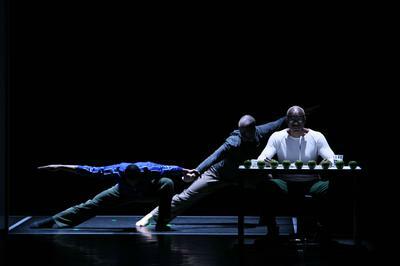 For over 40 years, Bill T. Jones has been generating new, hybrid art forms that flawlessly blend the spoken word, dance, and music to tell stories. STORY/TIME: The Life of an Idea (September 17, 2014) is a brilliant glimpse behind the scenes of this process. Part memoir of Jones’s dance career; part rumination on the distinct and related roles of artist and audience; and part dialogue with the ideals and ideas of John Cage; STORY/TIME shares its name with the Jones-choreographed dance performance: Story/Time (New York Live Arts, November 4 – 8 & 11 – 15 at 7:30pm, details enclosed). 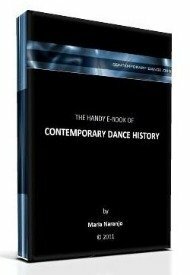 Divided into three sections, the book begins “Past Time,” in which Jones describes the milieu of the 1970s dance world. While studying SUNY Binghamton, he became immersed in the culture and ideas of the 1970s, including John Cage’s modernist ideas about the trifecta of composition, execution, and experience—namely that the artist’s intent trumps the audience’s interpretation. He explains how, inspired by Cage’s own performance Indeterminacy, he wrote Story/Time to be 70 randomly selected, minute-long stories, spoken by Jones, seated at a table, but surrounded by the movement of dancers. from Jones’s life. He traverses city streets, recounting the sight of fans chasing a celebrity in a SUV or a woman issuing a vulgar come-on to passersby. He takes us into his rehearsal space where he wittily contemplates a dancer’s “accident,” cutting his finger at breakfast. Most importantly, he introduces readers to the people he has known, including heartbreaking remembrances of mother-figure Estella on her deathbed and of Jones’s long-time partner Arnie Zane, and places he has been, including languid descriptions of the mesa of northern New Mexico and a light-hearted take on ear-therapy in Singapore. “With Time,” the final section of the book, offers Jones’s thoughts of now and a view to the future. Here, Jones confronts headlong his conflicted feelings about Cage’s ideas, plotting out how his own ideas about performance, artist, and audience, have been influenced by and diverge from Cage. Beautifully illustrated with performance stills and gracefully written, STORY/TIME will appeal to a broad audience. 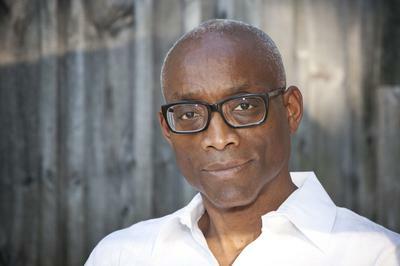 Bill T. Jones is an acclaimed dancer, choreographer, and director. He is artistic director, cofounder, and choreographer of the Bill T. Jones/Arnie Zane Dance Company and artistic director of New York Live Arts. He is the recipient of many awards and honors, including Tony Awards for FELA! and Spring Awakening, a Kennedy Center Honor, and a MacArthur Fellowship. Photo of Bill T. Jones by Christina Lane.